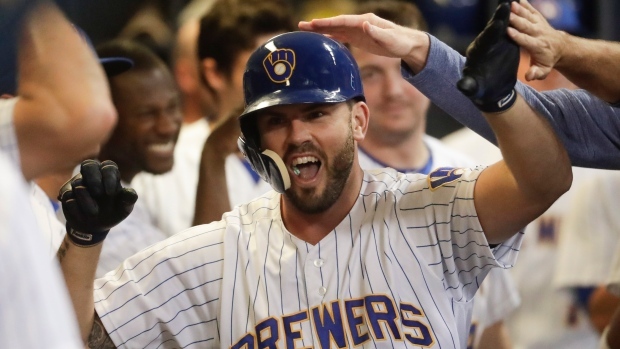 The Milwaukee Brewers and free agent third baseman Mike Moustakas have agreed on a one-year deal, according to a report by Ken Rosenthal of The Athletic. Bob Nightengale of USA Today reports that the deal will be worth $10 million when finalized. Moustakas spent 54 games with the Brewers last season, after coming over in a July 27 trade with the Kansas City Royals. As a member of the Brewers last season, Moustakas hit eight homers and 33 RBIs. Adding to that, he posted 20 homers and 62 RBIs with the Royals prior to the July trade. The 30-year-old spent parts of eight seasons with the Royals before being shipped to the National League, KC selected him second overall in the 2007 MLB Draft.